Home > Blog > Aneurysms > How Do You Know if You Are Suffering from Depression? 1. You call your financial planner and tell him to invest $20,000 into a high risk investment. A week later your financial planner calls you and states all $20,000 was lost in a bad investment. The point of this experiment is to see if your emotions and feelings change between scenario #1 and #2. The depressed survivor will not find any joy or the smallest amount of relief in scenario #2. Instead, it might compound the depression even further. Depression after having a brain aneurysm/AVM is the most common mental health disorder. In fact, I suffered from depression immediately following my ruptures. Unfortunately, my depression eventually turned into rage. Not only was this time in my life lonely but it was scary. I’ve never felt so alone and disconnected as I did when the depression took hold of me. At the time of my ruptures, there was scarcely any information or educational materials for survivors to inform themselves. No one told me that depression is a side effect from experiencing a brain aneurysm. For those survivors that feel depression might have a hold of them, understand there is absolutely no shame in having this disorder. Please know you have the right to be upset or even mad about what has happen in your life, but it should never go beyond this. Life is not about suffering. 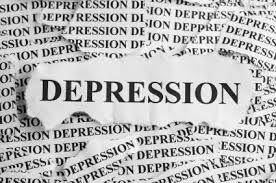 Depression has a high cure rate and can be treated by a medical professional relatively quickly. Anyone can give up and bury their head in the sand, it’s the easiest thing in the world to do. But to hold it together when everyone else would understand if you fell apart, that’s true strength. To read more on depression and coping, please click here.